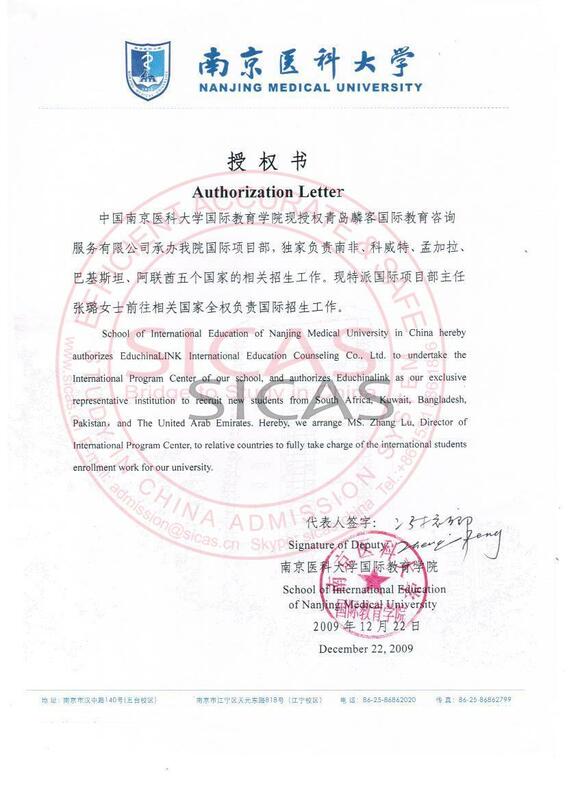 Nanjing Medical University is recognized by WHO and the graduates of MBBS program are eligible to take the Medical Licensing Examinations held by the medical councils in different countries such as MCI, PMDC, USMLE, HPCSA, SCHS etc. 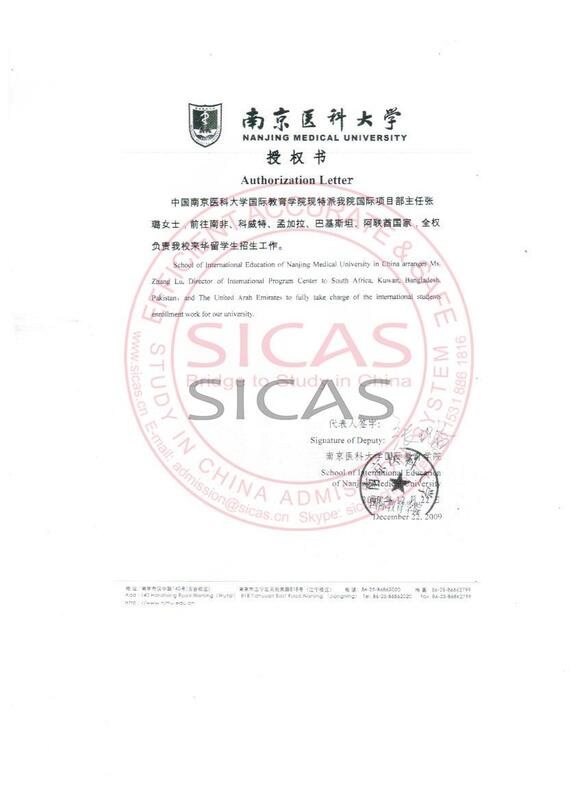 Pediatrics, Organic chemistry, Public health management, Hygienics, Traditional Chinese medicine, Emergency medicine. 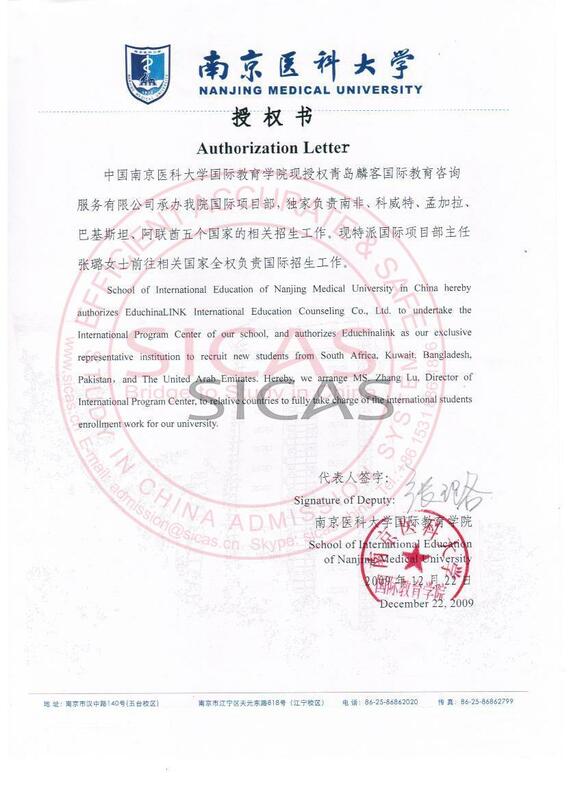 Students can choose to do the internship/training in China or in their home country. However, students should come back to take the final examination on Theory Test (internal medicine, surgery, surgery, and paediatrics) and Clinical Evaluation. 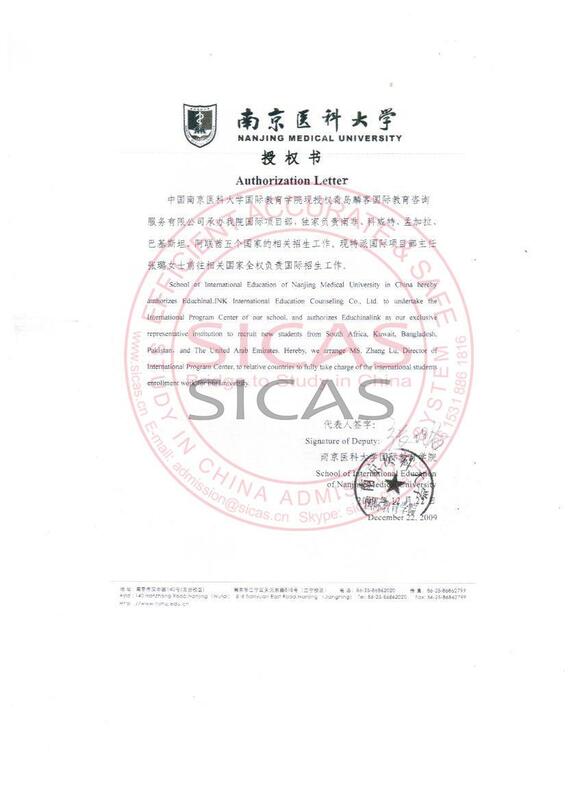 Applicants are required to pass HSK (band 3) before graduation; otherwise they cannot get the degree. 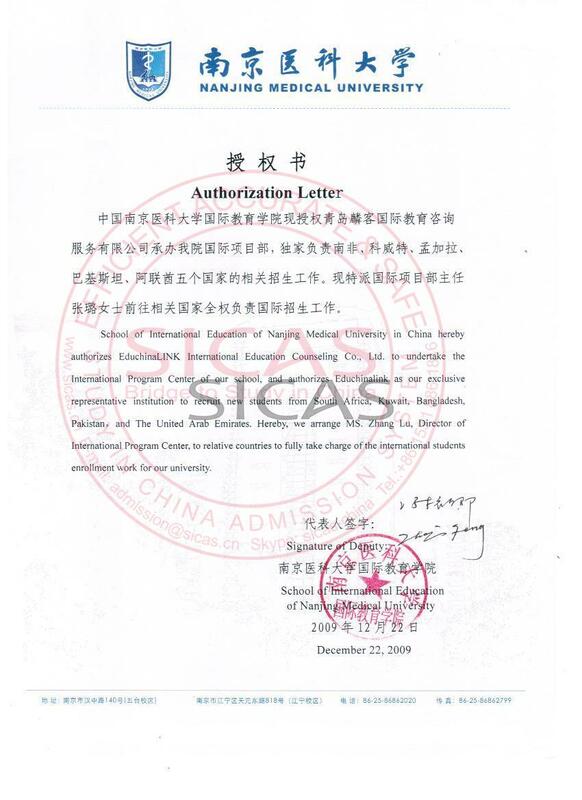 Request for withdrawal should be made in written form to School of International Education. 1. Registration fee and tuition fee are not refundable. 2. The accommodation fee refundable will be calculated by month. The total study time in a year is 10 and a half months. Students' leaving date will be decided by the date of approval of application in written form. Half of a month's accommodation fee is refundable if the application is approved before the 15th of each month (including 15th). If later than 15th, the refundable fee will be calculated from the next month. 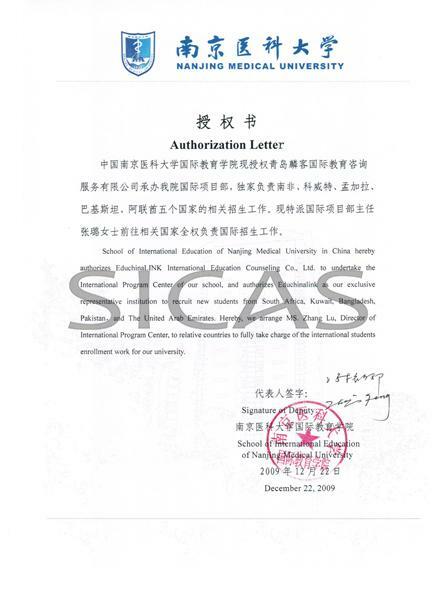 On completing the requirements of the teaching program and passing the graduation examinations successfully, international medical undergraduates will be granted a graduation certificate and conferred a medical degree by Nanjing Medical University, if they meet the degree regulations of Nanjing Medical University. The English copy of the degree will state MBBS (Bachelor of Medicine and Bachelor of Surgery). 2. aged under 30 and healthy. 3. An average 70% score in English, Mathematics, Physics, Chemistry, and Biology. 4.Academic transcript of high school.